Striving for and mantaining a healthy and active lifestyle, can help you stay away from painful foot conditions later on in life. Accepted insurance plans are updated regularly. We are conveniently located near Fountain Valley Regional Hospital. 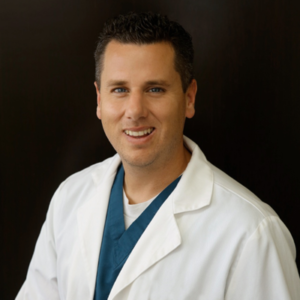 Daniel Recalde is a podiatric surgeon specifically trained in rear foot surgery and diabetic wound care. We strive to provide the best possible treatments and care for patients experiencing any type of foot discomfort or disorder. We are trained to treat problems ranging from common ailments to more complex such as reconstructive surgery. See what out patients are saying! Educate yourself with informative and helpful articles regarding foot and ankle care. At OC Advanced Foot Care, we strive to provide the best possible treatments and care for patients experiencing any type of foot discomfort or disorder with emphasis on patient education and involvement. Made my feet feel and look better. Dr. Recalde made my feet feel and even look better. I have about as flat feet as can be, and with a single visit, he taped up my feet which not only helped them but my back, too. I’m looking forward to my next visit to be fitted with orthotics. On the first visit he also lasered my toes to finally get rid of some fungus I’ve had for years that I’ve literally spent thousands on trying to get rid of. Grateful for Dr. Recalde’s help. Grateful for Dr. Recalde’s help with trying to fix my son Daniel Delgado’s foot pain. Dr. is responsive when we have called with questions and has offered great advise and a plan to getting my son pain free. Thank you for working with us on this problem in such a professional manner.